Buying a speed camera detector? The below speed camera detector guide explains the top features, awards achieved and more. All speed camera detectors availble to buy at SpeedCamerasUK.com feature a GPS database of fixed and mobile speed cameras including Gatso cameras, HADECS 3 and SPECS average speed cameras. The GPS databases are updated on a daily basis by the manufacturer and to enable the latest download of the speed camera database you must have a compatible computer connected to the internet. Compare the UK's speed camera detectors. On approach to each speed camera location the speed camera detector will provide audible spoken voice/tone alerts and on-screen alerts. The three leading UK speed camera detectors that we sell are the Cheetah c550 (£149.99), the Snooper 4ZERO Elite BT (£199.99) and the Snooper MY SPEED XL (£99.99). The top features of these three leading speed camera detectors are explained below. The Snooper 4ZERO Elite BT features GPS, radar and laser technology. This means you get alerts to all fixed speed cameras via the downloaded speed camera database. Plus with the radar and laser detector, you will also detect mobile radar guns and laser guns in use by the traffic police. 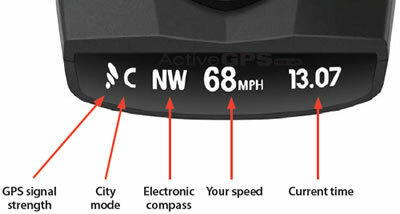 The subcription to the downloadable GPS speed camera database is FREE for the lifetime of the product with the Snooper 4ZERO Elite BT and can be updated either via a computer or wirelessly using a Bluetooth enabled device e.g. smartphone, tablet, etc. The Cheetah C550 has achieved best buy awards for the past 2 years (Auto Express 2016 and Car Buyer 2017). 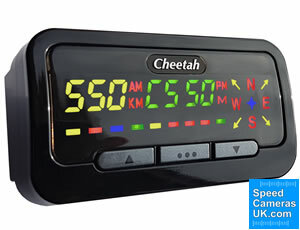 The Cheetah Speed Camera Detector is also the only camera warning system that offers an optional external GPS antenna which allows you to locate the speed camera detector unit off of the dashboard. Speed camera subscription with the Platinum model is FREE for the lifetime of the product. Cheetah c550 - Complete control of the alert range of each type of speed camera is possible with the Cheetah c550. 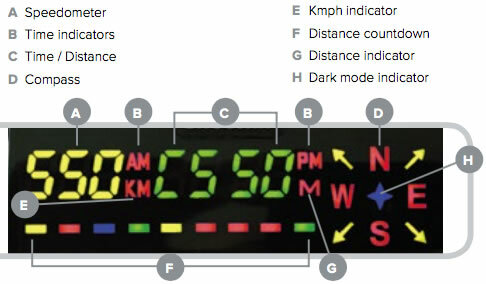 For example, if you want plenty of time to react to an upcoming SPECS Average Speed Cameras Zone, you can set the alert range to the maximum of 900 metres. Plus if you do not want much warning to red light cameras installed at traffic lights you can set the alert range to 100 metres or choose to switch off the alert for this camera type. Cheetah c550 - Mobile speed cameras and mobile zones are featured on the Cheetah c550 database. Cheetah c550 - Red light cameras at traffic lights to catch speed motorists are warned of by the Cheetah c550. Snooper 4ZERO Elite BT - Auto-ranging feature is included on the Snooper 4ZERO Elite BT auto-ranging that provides more warning at a greater distance away from the speed camera location on high speed limit roads compared with roads with a low speed limit where the warning will start from a lesser distance. 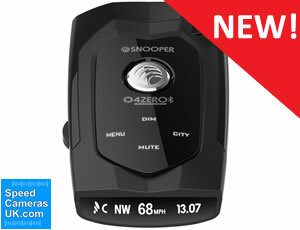 Snooper 4ZERO Elite BT - GPS, radar and laser technology features on this speed camera detector. This Snooper is the only speed camera detector will full mobile speed camera alerts. The alerts are provided by the radar and laser detection built-in to the Snooper speed camera detector. Snooper 4ZERO Elite BT - Update with wirelessly via Bluetooth or via Windows or Mac computer. Download the latest speed camera database to the Snooper 4ZERO Elite BT from either a Bluetooth enabled device with data or a compatible Apple MAC or Windows computer. Snooper MY-SPEED XL - A large 4.3-inch screen is the largest screen of any speed camera detector. Snooper MY-SPEED XL - A rechargeable battery is built-in to the MY-SPEED XL. The battery life is 3 hours maximum. 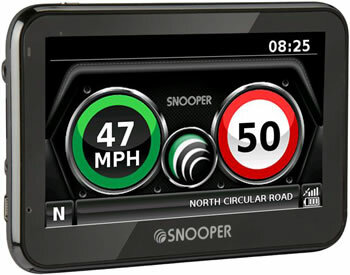 The Snooper 4ZERO Elite BT includes FREE subscription to speed cameras in the UK and across Europe, North America and Russia which can be downloaded as often as you choose from either a Windows PC or Apple Mac. The 4ZERO Elite BT also features a built-in radar and laser detector. The Snooper MY SPEED XL includes FREE subscription to speed cameras which can be downloaded as often as you choose. The MY SPEED XL also offers FREE subscription to a speed limit database for UK, Western European, North American and Russian roads (this speed limit database can only be updated annually). The Cheetah c550 Platinum includes FREE lifetime unlimited speed camera database updates to the multi award winning Trinity 3.0 database. What's more you get access to all three world regions of the Trinity database. Region 1: UK and Europe, Region 2: USA and Canada, Region 3: Australia and New Zealand. So no matter which of these GPS based speed camera detector you buy from SpeedCamerasUK.com they all include speed camera subscription without paying a penny more. All of the speed cameras detectors at SpeedCamerasUK.com are also available to buy from us and include FREE delivery within the United Kingdom (UK). For deliveries outside of the UK please see delivery information for costs. We hold extensive stock of each model (unless otherwise indicated) with dispatch same working day for orders placed before 3pm on any working day. We first started selling speed camera locators right here at SpeedCamerasUK.com in August 2003. With 15 years of trading you can rely on us to only supply the best tried and tested products with unrivalled product knowledge from ourselves and, equally important, excellent support from the relevant manufacturer if it is required. To view the latest range of speed camera detectors to buy click here.